1. 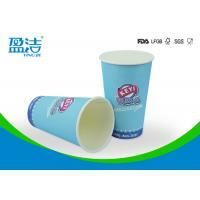 The paper of the cold paper cups is biodegradable and the PE coated is foodgrade. 2. 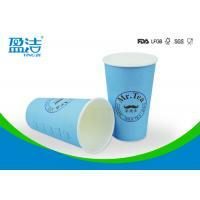 Custom design and logo could be printed on the disposable cold paper cups,up to six colors. 3. 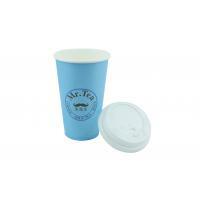 The ink printed on the cold paper cups is eco friendly. 4. 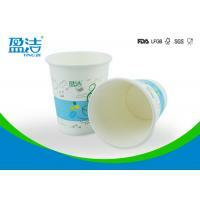 The rim of the cold paper cups is round and smoothful. 5. 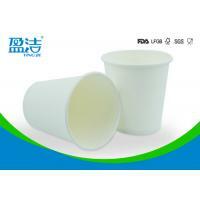 The thick PE layer of the cold paper cups prevents leakage effectively. 1. 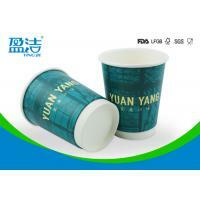 Logo printed disposable cold paper cups of single cardboard are best for advertising. 2. 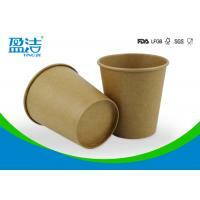 Disposable cold paper cups of single cardboard are suitable for supermarkets,stores,restaurants. 3. 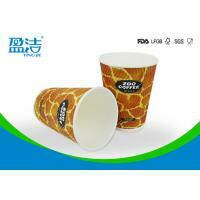 Disposable cold paper cups of single cardboard are easy for takeaway,picnic,barbeque. 4. 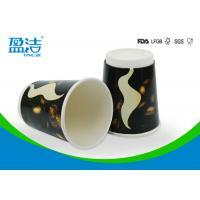 Disposable cold paper cups of single cardboard are good for cold espresso,cold beverage. 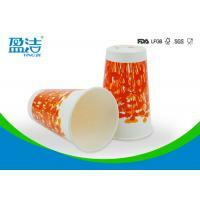 How We Enssure The Quality of Disposable Paper Cups ? 1. 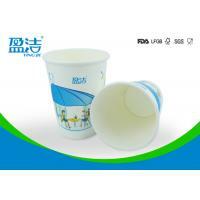 Our QC inspect first piece of every mould of every machine. 2. Our workers check every piece of cups. 3. Every forming machine is checked by QC every hour. 4. 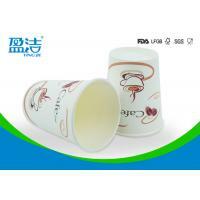 Every carton must be inspected by QC before sealed. 6. 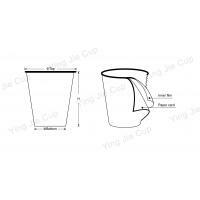 In case of quality fault occours,all potential cups must be strictly traced back.